Archaeology has developed its classification methods and techniques since its beginnings. At first, finished and pretty artifacts were diagnostic of styles and cultures. In the 60s, technological issues started to come to question; so we started paying attention to unfinished, recycled, re-used and discarded objects. The operational sequence approach on artifacts proposes to reconstruct their biography, which means their history from raw material procurement to discard. In order to do so, decades ago, archaeologist started to experiment with stones, ceramics, wood, and other materials. After finishing our lithics analysis, we started to wonder where ancient people got all those stones to make knifes, scrapers, hammers, metates (grinding stones), and all kinds of artifacts. As Carrizal’s geological formation is very similar to the Maya area; we did our research on their ways of procuring and working stones. We found out that, although their region is full of limestone (as ours); they took advantage of pebbles and cobbles from their rivers. 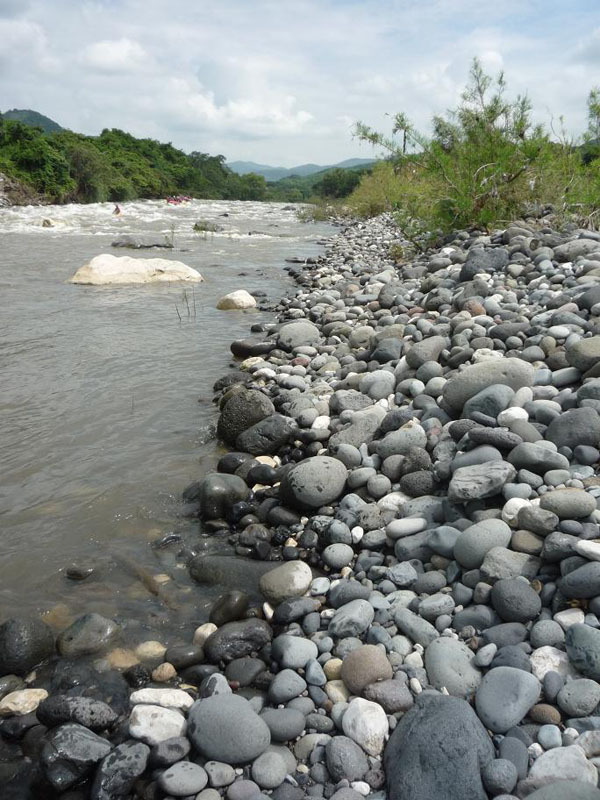 Hence, we decided to take a look at Rio Los Pescados, only one kilometer south of our study area. We were surprised to find a vast universe of igneous (volcanic), sedimentary and metamorphic stones. These rocks are just perfect for both the chipped and ground stone industries we have been able to identify in our study area. Basalt (both vesicular and non-vesicular), travertine, flint, andesite, lutite and many other useful rocks were found. We tried to shape them using stone hammers and our strength. The task was extremely difficult; but we were able to start to understand some aspects of ancient technologies; as well as discard or prove some hypothesis previously formulated during lab work. For example, we think metates were both produced locally and imported. The ones used locally, were manufactured from basalt found in the river. The pre-form was worked by the river, and the final shape was probably finished at home. Regarding manos, we reckon they are all local; and most of them were recycled as hammers once they weren’t useful for grinding anymore. Finally, fine basalt scrapers and knives were also locally produced at homes. 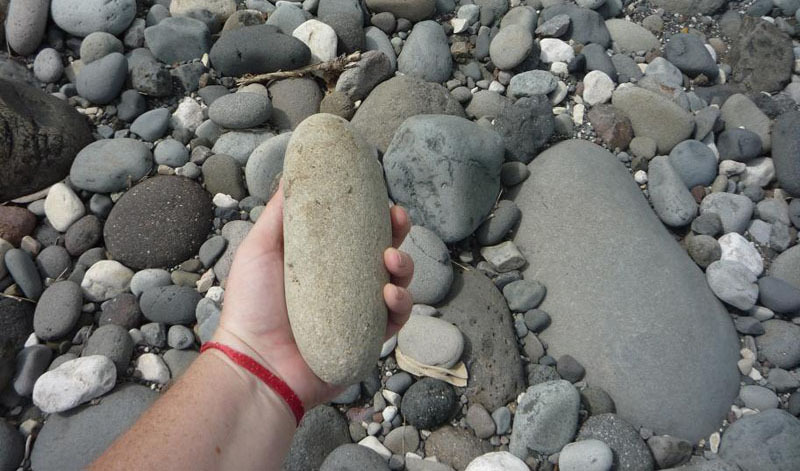 Pebbles were transported from the river and chipped in order to get standardized artifacts. This entry was posted on Monday, August 22, 2011 at 1:00 am	and is filed under English, Field Reports. You can follow any responses to this entry through the RSS 2.0 feed. Both comments and pings are currently closed.